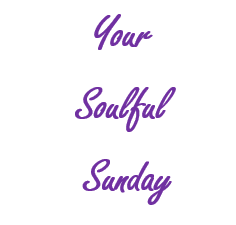 As our series, Your Soulful Sunday continues, enjoy this article from Hack Spirit. Ever wonder how people can handle such life trauma? Have you ever wondered how some people are able to cope with difficult circumstances? It looks like they’ve had a raw deal in life, but somehow they appear fine on the surface and even more together than you are. Wouldn’t it be great if we were all able to cope with difficult situations like this? Well, we can. It’s all about attitude and mindset – something we’re all in control of. Below, I’ve gone over 10 habits of highly resilient people that we can all learn to adopt. Resilient people don’t waste time blaming themselves. They realize that there’s no value doing so. It’s better to learn from your mistakes and focus on what you can control. They know their interest is best served by moving forward. Humans are social creatures and if we’re going to go where we want to go in life, we need to have a support system. That’s why resilient people aren’t afraid to reach out for help when they need it. Fear and loneliness make life more difficult. Resilient people realize this and make an effort to help others so that they’ll be able to get help when they need it. Resilient people realize that not everything in life will be comfortable all of the time. They’re able to tolerate discomfort because they realize that the universe is constantly changing. PreviousPrevious post:Discover New Ways to Look at Healthcare in Schools at 2018 Southern Obesity SummitNextNext post:Three Things: My First. My Favorite. My Future.